Researchers attempted to discern the benefits of drinking coffee and its role in reducing the risk of developing Alzheimer’s and Parkinson’s disease. The benefits of drinking coffee include more than keeping you awake. Previous studies have found an association between coffee consumption and a reduced risk of developing neurodegenerative disorders. However, the role of coffee in nerve preservation in the brain has yet to be fully elucidated. Mancini and colleagues recently sought to discern which of its components contribute to its protective effects. 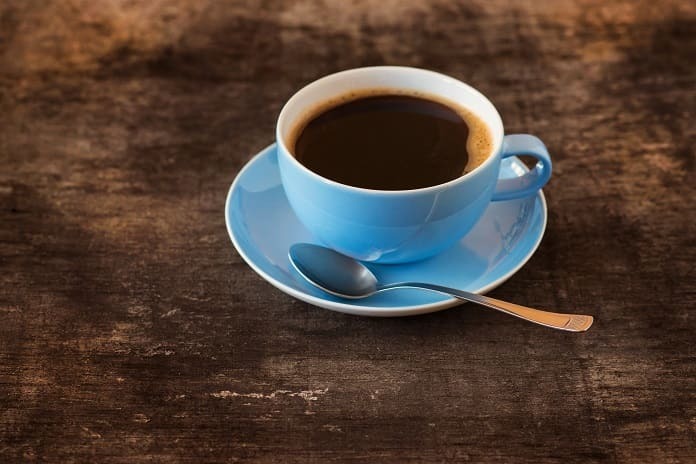 In the study published in Frontiers in Neuroscience, the researchers assessed the inhibition of incorrectly formed proteins when exposed to coffee. These proteins are amyloid-beta and tau, which are hypothesized to play a central role in the development of Alzheimer’s and Parkinson’s disease. When amyloid-beta and tau fold properly, they perform their appropriate biological functions. However, when misfolded, their toxic build-up of protein in the brain’s nerve cells causes cellular dysfunction and neuronal death. The study found that within all three coffee varieties, the aggregates were inhibited at various concentrations. However, when the researchers compared caffeinated and decaffeinated dark roast extracts, they discovered that the inhibition was not caffeine content-related. Instead, the potent inhibition levels were a result of an antioxidant compound found within the beans called phenylindanes. Phenylindanes elicit neuroprotective properties by preventing the aggregation of misfolded proteins, which may have monumental therapeutic benefits within amyloid-beta and tau driven disorders such as Alzheimer’s and Parkinson’s disease. They determined that the inhibitory effects seen in dark roast coffee extracts are more powerful compared to light roast coffee due to phenylindanes, which are found in higher concentrations at longer roasting times. The current study does have some limitations. The samples were unlikely to be a perfect imitation of human physiological states, and issue caution when deciphering the results. In consequence, the results of the study do not indicate that coffee is a be-all, end-all cure for neurodegenerative disorders. Can the antioxidants cross the blood-brain barrier? Nevertheless, Mancini and colleagues are hopeful as their research is still in its infancy. For future studies, they would like to see whether or not phenylindanes can cross the blood-brain barrier so that it may be of therapeutic use one day. The benefits of drinking coffee, alongside its widely known stimulant effects, may indeed including protecting the brain. Mancini, R. S., Wang, Y., & Weaver, D. (2018). Phenylindanes in Brewed Coffee Inhibit Amyloid-Beta and Tau Aggregation. Frontiers in neuroscience, 12, 735.